Apple had recently held the event for the iPhone launch where the two new iPhones for this year were announced – iPhone 5s and iPhone 5c. The company had talked about just the two phones and nothing else, and thus a separate event was well expected, as many were waiting for the refreshed iPads, which includes the 5th gen iPad and the iPad Mini 2. And the event might not be limited to these handheld devices, but Apple might come up with the launch of the Mac Pro as well as the new Mac OS X version. The simple invite reads “We still have a lot to cover.”, and the rumors on the other end even claim that Apple might have been working on a smartwatch too and they might just announce one in the same event. Earlier, we got to know through some leaked images that Apple was planning to make a narrower and sleeker looking iPad which looks like the first gen iPad Mini which was launched last year, and the actual iPad Mini might get an upgrade with the new chips as usual, and along with that, the retina display. Rumors and the leaked data suggested that the iPad Mini 2 could have the same resolution as the iPad 4, i.e. 2048×1536 pixels and that would make the pixel density to 326ppi, nothing different to that of the iPhone 5s display. There won’t be much changes in the actual dimensions of the new iPad Mini because the manufacturers of the various cases said that they have got the information and have already started making the cases, which show that the iPad Mini might be about 0.3mm thicker than the first gen. one, while the width would be 0.2mm more. But with Apple, we can’t be really sure unlike the iPhone 5C rumors which were all somewhat like the leaked information showing everything already ahead of the announcement. The event still might have a lot more than this, and the iPods might not be totally ignored, we suppose. But are you excited about the new iPad Mini with the retina display, and would look for an upgrade? The iPhone 5S price in India could be called sky-high but we don’t expect Apple to come with such aggressive pricing for the new gen. iPads. Let’s see! 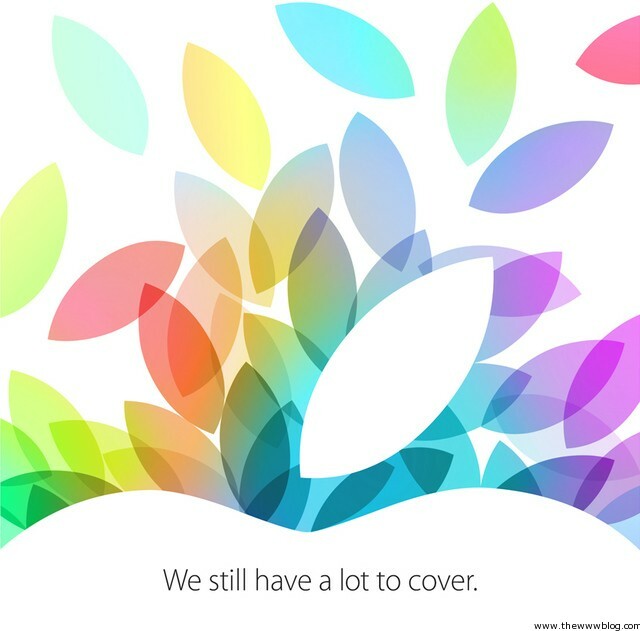 How to Watch Apple Oct 22nd Event Live? We are as always sure that Apple might put up a live stream for the Safari browser on the iOS / Mac devices, but if they don’t do, be sure to follow Engadget.com or TheVerge.com which are the best sources for live blogging this event with updates every minute.